When patching a leaking roof and vent…. all you need are any shingles you can find and a bucket of tar. No need to be neat about things, just turn the bucket upside down and let the tar flow where it wants. 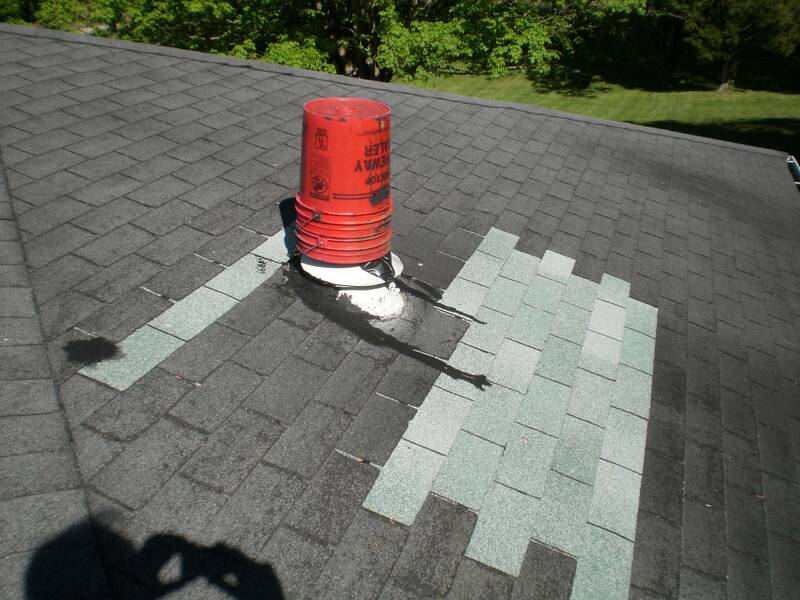 When all finished, no need to clean up, just leave the bucket on top of the vent for extra protection. I don’t make these things up! This entry was posted in Roofs. Bookmark the permalink.